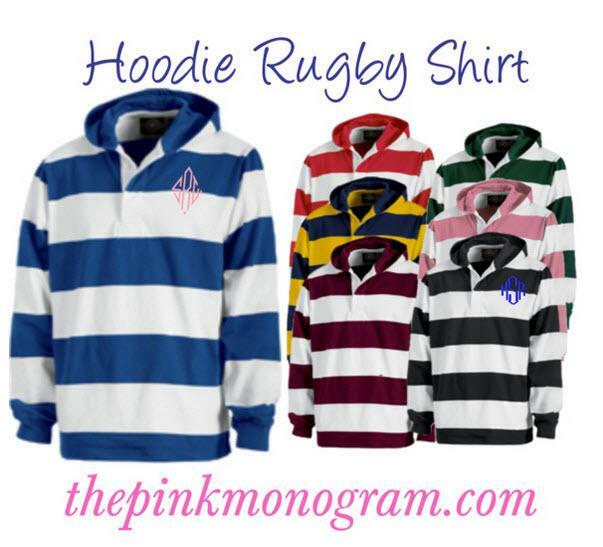 Classic rugby inspired styling combined with a hood and monogram is sure to receive tons of compliments. Monogram is on the left chest at around 3 and half inches in diameter. So many stripe colors please see below all our colors with most popular being the pink and white for girls and for boys the navy and white. 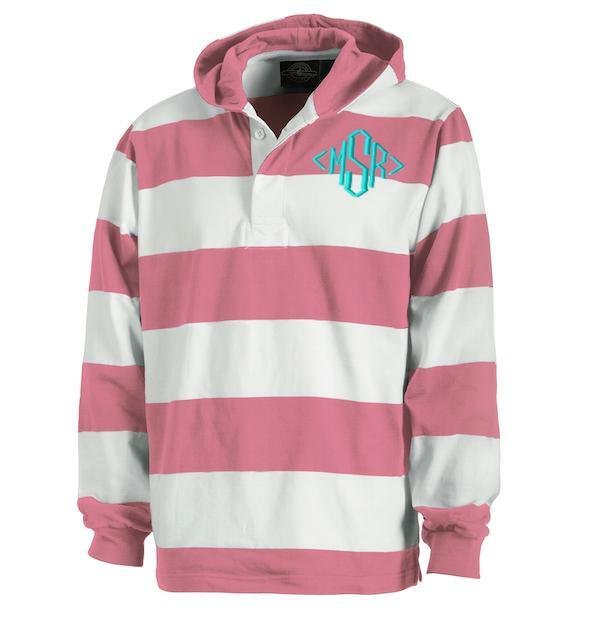 Soft 100% cotton jersey 8.85 oz with classic 4” rugby stripe, yarn-dyed for highest quality. 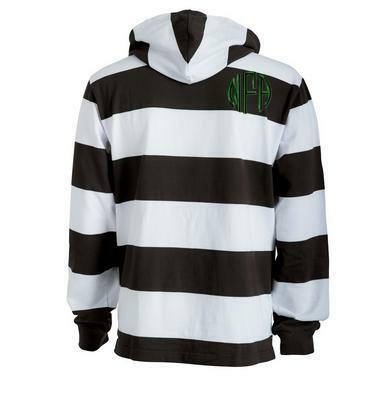 Hood with lining. Heavy-duty white twill placket conceals 2 rubber buttons. Side-seam vents reinforced with twill tape. High-quality rib knit cuffs. Reinforced stitching throughout for added durability. Relaxed fit through chest, waist and arms. Note: Unisex Adult Sizes XXS–3XL please see the measurement chart since these will run larger !!! 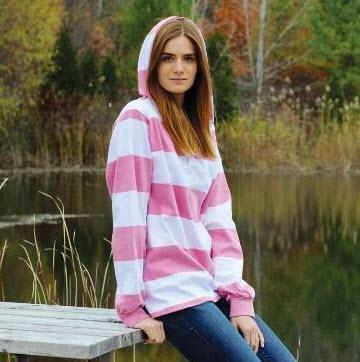 The light pink and white stripes are sold out for the season. This item will be discontinued Fall of 2017.